Exotic hibiscus are vigorous growers that produce many huge and vividly colored flowers. It takes regular feeding to provide the building blocks for all this growth, color pigmentation, and strong enough wood to support the heavy flowers. There is a very limited amount of plant nutrition in a pot. There is often none at all in a potting mix made solely of peat moss, composted bark, coco coir, and perlite. The peat moss, composted bark, and coco coir are not sources of food for plants - they are simply there to secure the roots and to hold water and food for the roots to absorb. It is up to you to provide the food your plant needs. Hibiscus have a voracious need for potassium - that is the third or last number in the formulas often given on fertilizer containers. Potassium assists in almost every part of plant growth and metabolism. Potassium assists in photosynthesis, the plant's process that uses sunlight and water to create sugars for food. These sugars are then used to build every part of the plant, and hibiscus, with their complex, colorful, huge flowers need more potassium than most plants to assist in these building processes. Potassium also draws water into every plant cell, keeping each cell plump, hydrated, and healthy, which in turn makes the plant lusher and prettier, as well as more resistant to drought and disease. Potassium, amazingly, is involved in almost every type of transport in a plant, moving food, nutrients, and chemicals all through every part of the plant. The strangest thing about potassium is that it isn't actually built into any part of the plant! It functions by floating as "free ions" through all the plant's systems, locking into this chemical or that chemical to make this process or that process work. When a plant undergoes stress, loses water, wilts, or looks sickly, these free potassium ions can be easily lost and it is up to us to replace them for our plants. So keeping enough potassium in our hibiscus, particularly during times of heavy blooming, can be challenging. Almost no commercial fertilizers contain enough potassium to keep hibiscus as healthy as we want them to be. At HVH we had to develop our own formula to get the potassium we needed for our own hibiscus, and over time, at the request of customers, we began to offer it for sale. This is our HVH Special Blend Fertilizer - the fertilizer we developed for use in our greenhouses. 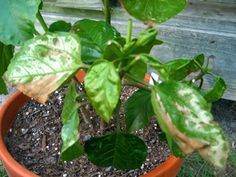 Phosphorus is another important issue with hibiscus - hibiscus do not tolerate phosphorus well, and in high doses, it will slowly damage hibiscus plants over time. 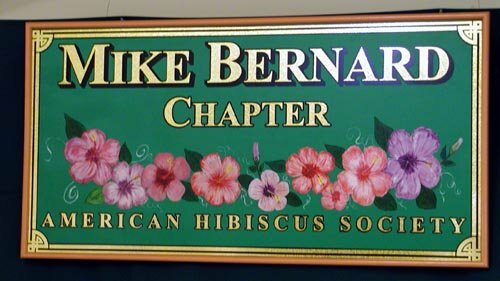 One of the most common mistake novice hibiscus-growers make is to use "Superbloom" or "Bloom Booster" fertilizers. These products contain extremely high proportions of phosphorus and are very damaging to hibiscus. We did a careful trial of phosphorus some years ago at HVH, in order to find out what the optimum levels of phosphorus would be for root and flower development. We intended to gradually increase phosphorus with each watering over a period of time, expecting to find improved blooming. Instead we watched the hibiscus go downhill within a couple of weeks of increasing phosphorus! It was shocking how quickly and how severely the phosphorus sickened our plants! As the trial continued, the hibiscus became stunted, their leaves yellowed, and they looked terrible! When we did further research on the effects of phosphorus, we found out that in several species of plants, phosphorus ties up other minerals and nutrients, such as iron, before the roots can absorb them. So our hibiscus were being slowly starved to death. No matter how many nutrients we put in their fertilizer, their roots were absorbing less and less of everything the plants needed. This was enough to convince us that hibiscus need to be protected from high amounts of phosphorus. Bottom line - don't use high phosphorus fertilizers claiming to be bloom enhancers! They may do something for some species of plants, but for hibiscus they are a disaster waiting to happen. All living cells use nitrogen, and all plants need plenty of nitrogen. Plants use nitrogen in their proteins, enzymes, in cholorophyll, and in almost all of their metabolic processes. Too much nitrogen can "burn" leaves, the familiar "fertilizer burn" that turns the leaf edges dark brown. But too little nitrogen can bring plant growth to a halt. So the goal is to provide enough for optimum growth without overdoing it and burning the plant. For hibiscus, this means a middle-ranged amount of nitrogen. No matter what fertilizer you use, always keep an eye out for nitrogen fertilizer burn. If you see the telltale brown leaf edges, drop all fertilizer for a couple of weeks, and water with only plain water. When you begin to fertilize again, use a weaker fertilizer solution - for example, cut your fertilizer dosage in half. Keep watching for fertilizer burn, and cut back your fertilizer until you reach the point where you can fertilize on your regular schedule and not cause any burn in your plants. How do I Know How Much Nitrogen, Phophorus, and Potassium my Fertilizer Has? In the United States, the big numbers on the labels of all fertilizers, called the NPK numbers, give the percentage of each of the three main macro-nutrients in this order: Nitrogen (N) - Phosphorus (P) - Potassium (K). (These numbers measure different things in some other countries, so check your country's system before applying the numbers to your hibiscus care.) When looking for a fertilizer for hibiscus, look for this ratio: Medium - Low - High. If all three numbers are the same, as in most "Superbloom" formulas, there is too much phosphorus and too little potassium for hibiscus. The ratio we have found to be the best is the one we use in our HVH Special Blend Fertilizer: 17-5-24. This is the fertilizer we developed for our own hibiscus, after much trial and error. You don't need this exact ratio, but you do need this pattern of Medium Nitrogen (N) - Low Phosphorus (P) - High Potassium (K). If your fertilizer has less-than-optimum levels of potassium in it, you can supplement potassium with our HVH Hibiscus Booster. The booster is intended to supplement your fertilizer with extra potassium and nitrogen, not replace it, since it is not a complete and balanced fertilizer, and has none of the trace minerals that hibiscus need. For example, if you are using the complete HVH Special Blend Fertilizer on a weekly basis, you may want to use the Hibiscus Booster once a month during the flowering season to give extra support to the flowering process. If you use our HVH Timed-Release Fertilizer with lower levels of potassium, you should use the Hibiscus Booster once a week (or higher doses once a month) to provide the higher levels of potassium that hibiscus need. When you look for a fertilizer, also look at the "minor elements" in the formula. These are other minerals that hibiscus need in small amounts. Make sure you find a formula that includes at a minimum copper, magnesium, and iron in a soluble or chelated form. Ideally your fertilizer will contain several other trace minerals too. When it comes to fertilizer, you pay for what you get. You can buy cheaper fertilizers, but you will get a cheaper grade of each component of the fertilizer. Cheaper components may not dissolve well in water and may wash away without ever entering your plant. Or they can contain traces of harmful chemicals that can actually damage your plants. For example, some minerals are available in a chloride form for less money, and many less expensive fertilizers use these chloride forms. But repeated dosing with chlorines is very damaging to hibiscus, and the damage increases over time. Read and Follow the Directions! One more very important part of fertilizing is to very carefully follow the directions that come with any fertilizer. 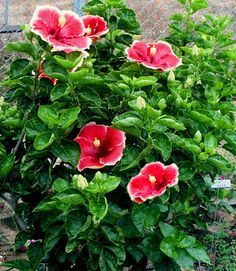 Hibiscus like to be fed small amounts often rather than large amounts occasionally, so the very best way to feed them is to use a half-dose of fertilizer every time you water. If you fertilize once a week, use the regular dose recommended on the fertilizer label. If you fertilize once a month or less, you can use a double-dose, but we don't recommend this, because hibiscus do best with steady and even water and fertilizer on a daily and weekly basis. 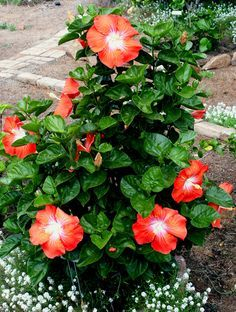 For hibiscus planted in the ground, it is easiest to hook up your water hose to a proportioner or fertilizer injector, so you can water and feed at the same time. Or, if you use a drip-type watering system, fertilizer injectors are inexpensive and easy to add to your system. If neither of these methods work for you, just mix your water and water soluble plant food in a container, then water each plant well. For potted hibiscus, be sure to pour enough of the solution into each pot so that some comes out the bottom of the pot. It's much better for hibiscus to be fertilized when their soil is a bit moist. If the soil is too dry, the nitrogen in the fertilizer can burn the roots and damage the plants. Hibiscus don't like to ever dry out completely anyway, so if you have a good watering regime, you shouldn't ever have to worry about the soil being too dry to fertilize. During the winter months when your hibiscus are not actively growing and blooming, cut your fertilizer way back. The less active hibiscus are, the less food they need. During the coldest two months of winter, you won't need to fertilize at all. As the days get longer and warm up towards the end of winter, start fertilizing about once every other week. Then begin your full fertilizing program as soon as the early spring warmth begins, and keep it up all through the fall blooming season, backing off slowly as winter approaches. 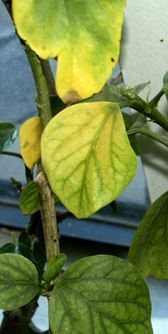 Too much Phosphorus causes chlorotic, starving hibiscus plants that stop blooming. A good fertilizer program makes 'Living Legend' grow and bloom vigorously year after year.